Deeply hydrate and pamper skin with the AHAVA Mineral Body Lotion; a fast-absorbing moisturiser that works to soften, smoothen and refine. 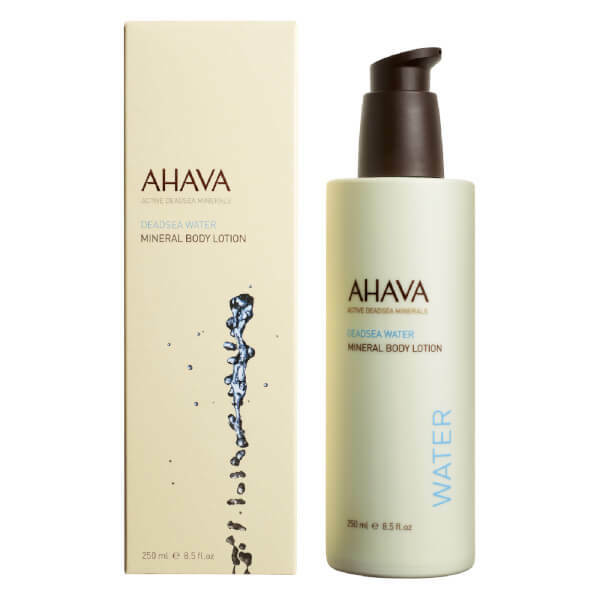 Fortified with the brand's Osmoter™ technology, the lightweight lotion synergises Dead Sea minerals, soothing Aloe Vera and antioxidant Witch Hazel to protect and condition the body without greasy residue. Skin is revitalised, refreshed and restored from top to toe.